Looking for a USED GH-1840ZX? 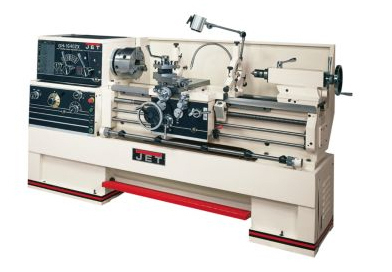 The ZX-Series Large Spindle Bore Lathe provides power, precision, efficiency and reliability to your metal shop. A one piece cast iron base absorbs vibrations during operation to allow heavier cuts and ensure accuracy, while the Universal Gearbox eliminates the need to change gears. Looking to Purchase a New JET GH-1840ZX?